With gas prices decreasing recently, many people have taken the opportunity to upgrade their vehicles to bigger, newer ones. A recent article in CNBC talked about how more Americans are willing to purchase luxury cars as well as the higher priced SUVs. These purchases are a sign that our economy is continuing its recovery and Americans are feeling more secure in the automotive industry. For example, the article mentioned that the GMC Yukon’s higher-end version, the Denali, starts at $63,770. For Americans looking to have a comfortable ride and one with all of the features, the price will only increase. Most opt to lease these vehicles as the cost-effective option. For individuals paying $100 to $125 on their cellphone bill, as the article states, paying $500 or $600 for a leased vehicle makes the most sense. However, for those who can’t afford to buy, or even lease, a luxury car or the higher prices SUVs there is a third option. 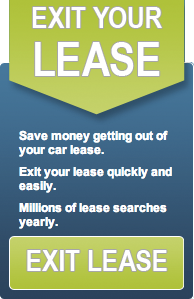 Swapalease.com offers individuals the option of taking over the remainder of a lease. Drivers looking to exit their lease early, list their vehicle on the Swapalease.com website and those interested in taking the remainder of the lease over will be matched and a transfer can take place. What’s more, there is no down payment and some sellers will offer incentives for those taking over the lease.